A number of years ago, while writing my doctoral thesis, I came across the published notes of Roland Barthes’s last seminar at the prestigious Collège de France, entitled “Proust and photography” (“Proust et la photographie”) - a seminar he sadly never had a chance to give owing to a fatal injury in February 1980, the evening before it was scheduled to start. The published version is not a conventional academic lecture or text. Apart from an introduction of a few pages it is a series of fragmentary notes followed by photographs. The latter are mainly nineteenth-century portraits of Marcel Proust’s family, friends, and acquaintances taken by Paul Nadar, the son of the famous French photographer Gaspard-Félix Tournachon, alias Nadar. The photographs are accompanied by annotations by Barthes on the specific relationships between the people pictured and Proust and his seven-volume novel In Search of Lost Time (À la recherche du temps perdu). Published (in French) in 2003 as an appendix to the last volume of three of the lecture series that Barthes held at the Collège de France between 1977 and 1980, this seminar project was highly idiosyncratic in form and content, which partly explains a relative lack of scholarly commentary upon it. I realised that what Barthes was trying to do in this seminar was much more than simply ‘intoxicate’ the audience with photographic images that spoke to him (as he stated in the preliminary notes). Rather, it seemed that Paul Nadar’s photographs were a convenient vehicle for linking together significant interests, themes and ideas that had occupied Barthes in the last decade or so of his life: namely, the life and work of Marcel Proust, photography, and questions concerning authorship and its theorization. It was in analyzing the seminar that I first appreciated that multifaceted connections between literary culture, theories of authorship, and photography had a long and complex history in France – that Barthes was coming at the end of certain dialectical developments rather than the beginning. I decided to further investigate these dynamics from the mid-nineteenth century, i.e. the moment of photography’s invention, to the late twentieth century, in interdisciplinary fashion. Thus while Barthes's thought on authorship and photography was my starting point, he became the chronological end point of my study. This research on visual and textual portraits of writers is interdisciplinary in that it brings together traditional French studies with the study of the history of photography. It is a combined cultural history of photography and textual authorship and explores multifaceted relations amongst literary critics, theorists, novelists and poets – Sainte-Beuve, Balzac, Hugo, Baudelaire, Proust, Blanchot and Barthes – and innovative portrait photographers, including Félix and Paul Nadar, Carjat, Gisèle Freund and Daniel Boudinet. The project's main aim is to show that the creation and dissemination of photographic portraits of these canonical French authors played an integral role in the cultural reception of their works and in the self-conscious construction of their authorial personae. Indeed, far from being a mere visual appendage to the above-mentioned authors' published works, photographs were a highly effective and influential means of authorial (self-)construction. The project will thus reveal hitherto neglected visual dimensions of French literary history and theory from the 1830s to the 1980s. When and how did photographs begin to appear in French literary works (for example as frontispiece reproductions and illustrations), replacing earlier forms of visual representation, such as lithography? How were photographic portraits of writers distributed, and what were the original contexts in which they were viewed, for example in the form of exhibitions or carte-de-visite photographs? To what extent did photographic iconography reinforce post-Romantic notions of authorship? How did the authors and their accomplished photographers work together to consciously construct a public visual persona through photographic style, gesture and iconography, in part by drawing on nineteenth-century precedents, including portraits by (Félix) Nadar? How have their photographic portraits by Paul Nadar, Gisèle Freund, Daniel Boudinet and others served as a lens through which the writings and ideas of Proust, Gide, Barthes and Blanchot have been disseminated and interpreted (including, in a contemporary context, via digitisation and the internet)? What is the significance of Blanchot's resistance to photographic portraiture, and the posthumous publication of photographs of him, in juxtaposition with the theorist's own conceptions of writing and authorship (in works such as Le Livre à venir)? How did photographic portraits of themselves and others, and ideas on photography as a medium, inform Proust's, Gide's and Barthes's reflections on the nature of writing and authorship? 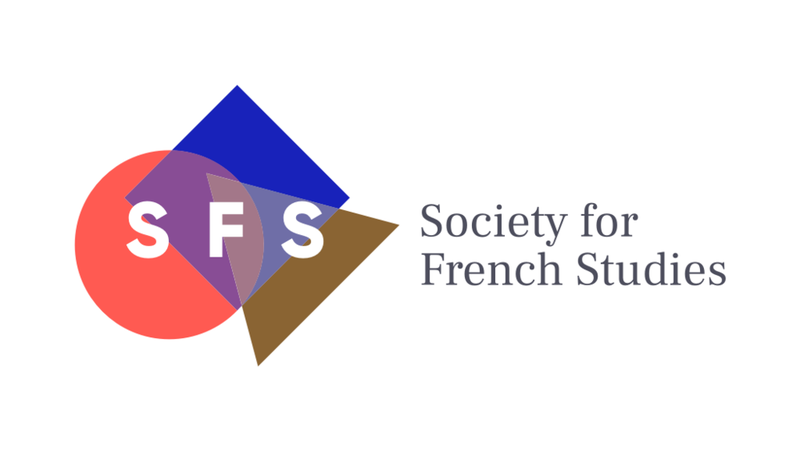 In answering these questions and addressing these topics, this project will make and original contribution to understanding the interconnected textual and visual dynamics marking the construction of authorship in French cultural practice and theory.